14K gold Jereusalem themed pendant with ancient Roman glass fragments. 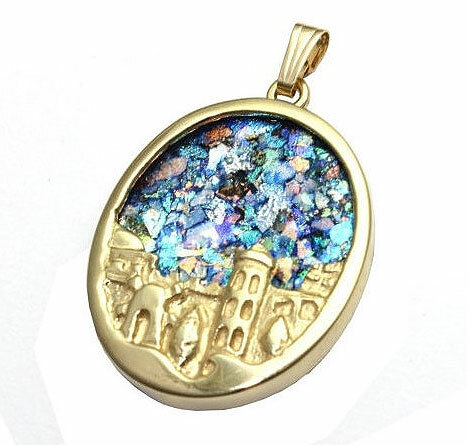 image of the Holy city sculpted on this 3D pendant. set with authentic antique colored glass fragments found by archaeological diggings throughout the Holy Land.